I've created a new video to demonstrate how the samples in my Garageband song created collaboratively using sample loops of Sweet Home Alabama on a mac and an ipad Garageband can be easily converted into a series of Roland MC-808 compatible sample loops and transferred quickly onto the MC-808. The Samples are then converted into WAV, little endian files and renamed in line with the MC-808 fast sample loading convention, using the fixed1t Garageband to MC-808 sample convertor. The video then shows you have to get the samples quickly onto the MC-808 and play them. Please rate the video and leave comments. 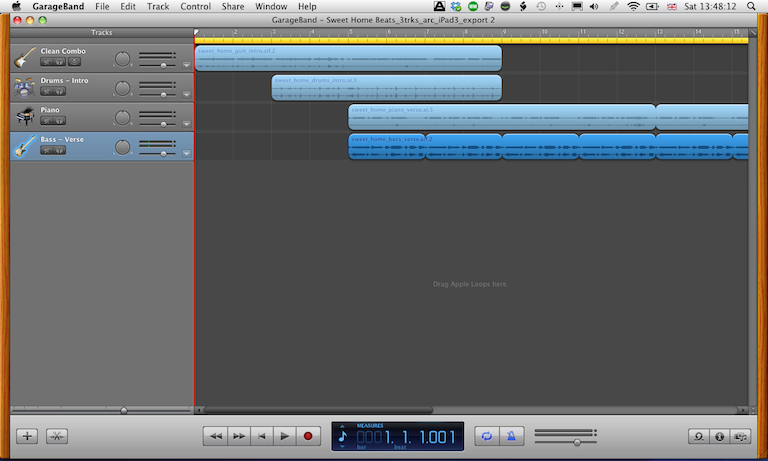 I've put together a new video showing how and mac Garageband user and an iPad Garageband user can collaborate. Another benefit of the converter is that the samples on the iPad are limited in number, but any sample placed in a song and then converted to the ipad can be copied from that song into another song, so your daughter could load up a whole pile of sample in a dummy song which her sister could then also access on the ipad. Thats what I did with this video. I hope you find it useful, it would be good if all of you could rate the video if you find it useful. 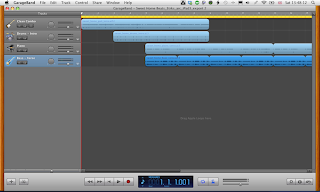 However, you don't have to stick composing with just Garageband, with a few of the fixed1t software tools its possible to easily extract the samples from your Garageband song and convert and export them to a hardware sampler. The youtube video linked below shows you how this was done using the Roland MC-808 Groovebox Sampler.